Способ применения Подготовите массу цвета. Нанести на сухие волосы по всей длине волос. Оставьте в волосах на 30 до 45 минут. Тщательно промойте волосы. Always apply the Protective Serum prior to staining to the damaged parts, especially the tips. Then add the coloring cream to the developer, then apply the mixture and let it sit. 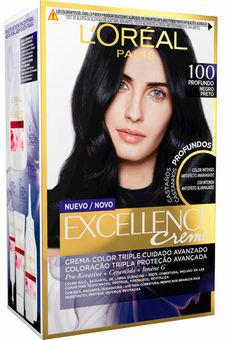 After application, spread the post-color balm over the entire hair. Your color is rich and homogeneous, your hair soft and shiny.